It doesn’t make a lot of sense. At places such as Yale, Claremont McKenna, and Missouri, presidents are resigning and faculty are trembling. Ham-fisted protesters are demanding an end to free speech. Halloween costumes have become a disguise for racial oppression. To regular joes and pundits alike, this burst of campus outrage can seem puzzling. But there is one group to whom this phenomenon would make perfect sense. Claremont McKenna’s dean of students resigned after an insufficiently savvy email. Missouri’s top administrators have stepped down for dunderheaded obliviousness to racial incidents. Top faculty at Yale are under siege for suggesting a relaxed attitude toward Halloween costumes. The episodes can tell us a good deal about the real levers of power on campus. Who doesn’t have power? Administrators charged with insensitivity toward systematic racism and oppression. They get the boot, and fast, if they seem to oppose racial inclusivism. Who else doesn’t have power? Students who want bread-and-butter economic reforms of higher ed. Even when a million students protested for lower tuition and lower student debt, it didn’t generate the same feverish buzz as these recent racial protests. To my knowledge, no university president has resigned because his or her school is expensive. Just as informative, these protests tell us who really has power on campus. Who has it? Football teams. Duh. But even those athletes are energized by a surprising fact. The real power on campus these days comes from an ancient but complicated moral idea. We might call it “the impulse to orthodoxy.” It can be tricky to understand, especially since no one is talking about it in those terms. The impulse to orthodoxy includes a moral two-step: Not only must people behave in a moral way, but they must actively seek out and root out those who fail to understand the proper reasons for moral action. How does this ancient idea work in today’s campus protests? The successful campus protests these days insist not only that school leaders fight racism. More telling, protesters are fired up by the idea that they are under a moral imperative to expose and exclude all those who do not adequately understand the nuances of systematic racism. At Yale, too, the impulse to orthodoxy has caused some observers to scratch their heads. On one level, it seems like a slightly hysterical protest about a fairly reasonable request. Faculty masters Nicholas and Erika Christakis suggested that students might relax about Halloween costumes. So what’s the problem? Morally orthodox students could not stand Christakis’s suggestion that they simply “look away” from offensive outfits. For the orthodox, looking away from immorality is as bad or worse than the immorality itself. A similarly insufficient zeal damned an administrator of the elite Claremont McKenna College in California. Dean of Students Mary Spellman wrote a sympathetic email to a student who complained about racial insensitivity. So what’s the problem? Spellman included a line about non-white students who “don’t fit our CMC mold.” To protesters, such language smacked of a hidden, intolerable insensitivity. In all these cases, school leaders and faculty are under attack for two reasons. First, they are accused of displaying an inadequate understanding of and zealousness about racial inclusivity. The oft-confusing part, though, comes from the second reason. The impulse to orthodoxy demands that such inadequate agreement be tirelessly sought out and ruthlessly purged. It is not enough to apologize. Campus protesters feel free to use any coercion, stamp out any speech, if those things seem to promote immorality. Today’s racial protesters will be surprised at the people who might understand them best: Protestant fundamentalists. As I’m finding out as I research my new book, the history of fundamentalist higher education is mostly the story of a similar impulse to orthodoxy. 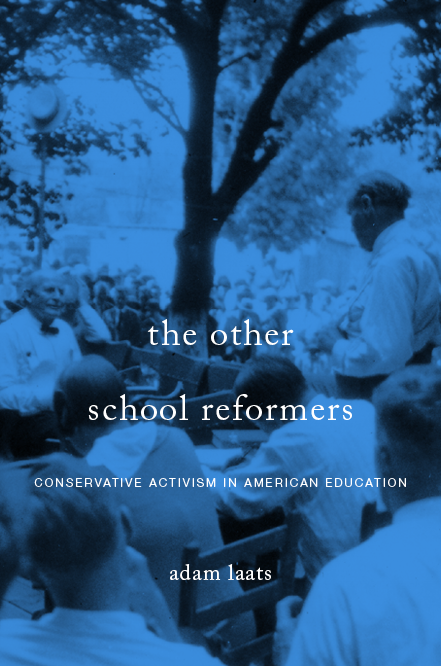 Beginning in the 1920s, it was not enough for fundamentalists simply to protest against secularization of the academy. It was not enough simply to disagree with the theological implications of evolution. Rather, for fundamentalists since the 1920s, it was necessary to demand that schools purge all such things. When that didn’t work, fundamentalists opened their own schools, places such as Wheaton College, Bob Jones University, and Bryan College. Throughout their histories, fundamentalist colleges have taken drastic action to purge any hint of compromise. In 1961, for example, Wheaton scientist Russell Mixter had to offer elaborate apologies to those who thought he might have accepted mainstream evolutionary theory. These days, similar drastic action is wracking the campus of Bryan College. Faculty who seem not to be sufficiently zealous in their embrace of a young earth are being shown the door. Of course, the specific moral ideas are extremely different. At fundamentalist colleges, the dangerous trends were toward theological modernism and evolutionary science. At today’s elite mainstream colleges, the moral imperative demands the removal—root and branch—of those who don’t sufficiently act against systematic racism. Yet the impulse remains the same. The moral imperative of orthodoxy requires more than just a certain set of ideas. It implies a tireless and ruthless dedication to root out all those who do not adequately understand or embody those ideas. Students: Customers, Wards, or What? This is a brilliant post. Thank you. Your post doesn’t make any sense. Orthodox institutions endorse their orthodox positions. I have no idea how that cpmpares with what’s happening at Missouri and Yale. If I missed the mark by that much, I must not have expressed my point very clearly. Let me try again. I’m not arguing here that any particular school does or does not fulfill its claims to orthodoxy. Rather, what’s interesting to me is the way a college or university struggles to come to grips with an ever-shifting moral orthodoxy. In places such as Yale, Mizzou, CMC, student activists tend to assert a moral orthodoxy that the campus community finds compelling. That is the reason why presidents and faculty agree to (some) student-activist demands. If the claims to moral orthodoxy were not compelling, presidents and faculty would not resign. They might expel the students instead. At a school like Yale, in recent weeks, the Christakises have asserted that moral orthodoxy does not demand rigid policing of the cultural implications of costumes. Clearly, the controversy that has resulted proves there is no clear agreement on this question, at Yale or in our wider society. At Missouri, the system president seemed to have a different understanding of the boundaries of current moral orthodoxy than did many Missouri students. When it came to a showdown, he lost. The point here is that these debates are not framed as intellectual debates, but rather as the rigorous defense of a morally orthodox position. In these schools, it is not just considered a good idea to be anti-racist. It is considered necessary for everyone to agree. In addition, for activists, it is considered morally necessary to seek out any hidden slivers of piecemeal disagreement, or even hidden bits of inadequate understanding or moral zeal. You’re right, of course, that the moral orthodoxy defended at conservative evangelical schools is very different. But the impulse to orthodoxy, I think, is very similar. Take a different school, one I’m studying for my current book. By any standard, Bob Jones University qualifies as conservative. By most standards, it could be defined as an “orthodox” fundamentalist school. Yet there has never been any clear agreement in the wide BJU community over every jot and tittle of morality. Back in 1938, Bob Jones Sr. defined the boundaries of orthodoxy for the school. When people disagreed, they left. And President Jones insisted that the remaining faculty and students do more than passively agree. The school demanded that all of its community members police themselves and everyone around them to root out any disagreement or moral misbehavior, just as students at Yale or Mizzou do today. Similarly, in the 1950s, Bob Jones University insisted that racial segregation was an important part of Biblical orthodoxy. At the time, even other fundamentalists disagreed. And now, the current BJU administration also disagrees. In its current policy statement, the administration of BJU states, “we allowed institutional policies to remain in place that were racially hurtful.” In the 1950s, anti-segregationists would have been expelled. That was the moral orthodoxy. Now it is not. Even at a traditionally “orthodox” conservative school such as BJU, there is no single timeless orthodoxy. Rather, there is an evolving agreement about certain positions to which everyone at the school must agree. In some areas, people of good will can disagree. But at an orthodox institution, there are certain ideas that all must agree on. And they must agree on them with deep certitude. And they must adopt an aggressive attitude, seeking out and purging any disagreement. It is that process that is similar in today’s controversies at elite mainstream schools. IMHO. At Yale and Missouri I do not see any intellectual thought by the students. Therefore, I don’t see any orthodoxy. I, as an evangelical, do not understand how I can have a last laugh. I am definitely not laughing but I am very concerned by the students reactions- especially the students at Yale. That’s a good one. Bottum has really come a long way from the orthodox bigotry of the circles he used to work in. It’s fundamentalists who Adam is saying get the last laugh, not evangelicals. Which is kind of insulting to fundamentalists, it seems to me, since it assumes that this need to root out every slight hint of disagreement is a peculiarly fundamentalist trait; whereas this very post shows that it’s a trait shared by zealots of every stripe. Ironic, really, since most people would probably characterize the students as “liberals”, which term originally was supposed to refer to those who were not so uptight about upholding orthodoxy. It turns out liberals are not less uptight, but only that they have different orthodoxies. Might one say that they’re fundamentalists of another type? They are all dogmatists who feel compelled to constantly assert their dogma against others to maintain the purity of their identity. Some have suggested this is a type of narcissism. It may be the natural outcome of a highly conflicted and anxious pluralism where people assume very different things about what is real, what is true, what is right, and how we can know things like this. When people with divergent views bump into each other, rather than engage in some kind of civil dialogue and self-questioning they simply clash as rival ideologues. They–who? Religious conservatives and secular liberals seem to equally engage in dogmatomachy while claiming to be tolerant and decrying the intolerance of their counterparts. Sometimes honest lines are drawn to define the bounds of tolerance. No one can be infinitely tolerant of everything. “They” meaning the student protesters. A Christian fundamentalist, if you called him intolerant, as likely as not would say “That’s right! I am intolerant towards sin and falsehood!” Like it or not, there’s something straightforward and honest about “God hates fags” signs (not that all fundamentalists are that nasty). Whereas the student protesters virtually define themselves in terms of tolerance, while shouting down and stamping out every hint of dissent. The author, George Scialabba, is often identified as representative of a “moral left” which may just have him for a member. Christopher Lasch would be one of his precursors, as George mentions here in his discussion of the narcissism Lasch saw in American society as a result of families being disorderd by modern economic forces. I think it is a good critique that has some appeal on both the right and the left, with the capacity to explain distinctly “American” or merely “modern” problems without falling into the partisan identity factions. Very interesting article. I read it in a hurry but will re-read more carefully when time permits. George is a real mensch — his personal site has pretty much everything he’s written. I would describe him as having had a James Joyce upbringing and reaction that produced a leftist, version of T. S. Eliot who understands but does not practice a faith. He describes it as something like the dialectical outcome of a collision between Opus Dei and D. H. Lawrence.